"EVE is a dark cold universe" we're told again and again. And if I can briefly indulge in a bit of pop psychology, walking the streets of Reykjavik in the middle of winter makes it easy to see why. At street level, people in dark clothes walk under a dark sky surrounded by gray, black, or white monotone buildings surrounded by sullen gray waves in the harbor. 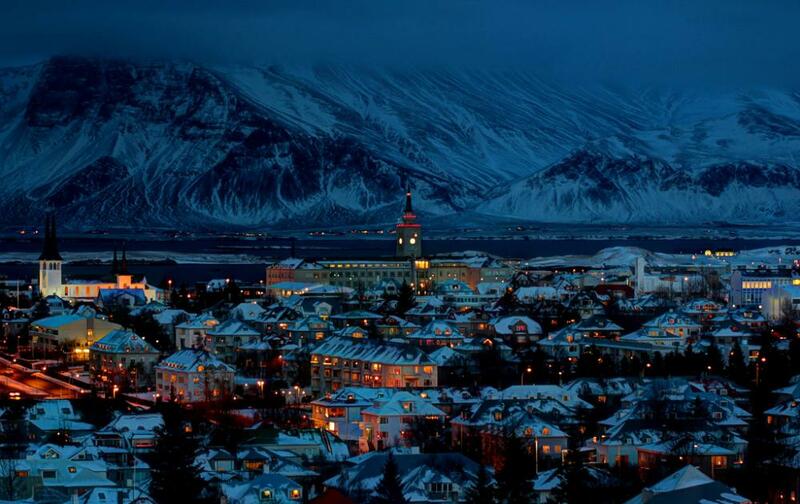 Cars in Iceland come in three colors: black, white, and "dark", whether dark blue or dark red or dark gray. The people drive or walk dark streets and sidewalks bordered and divided in dark gray or black lava rock as the only adornment. Another member of the CSM commented to me briefly about how "all the architecture looks the same." And if you remember this fundamental truth about humans, then you're remembering something that EVE's art team unfortunately occasionally forgets. Photo credit for the first one, All That Is Interesting. Photo credit for the second one, me. 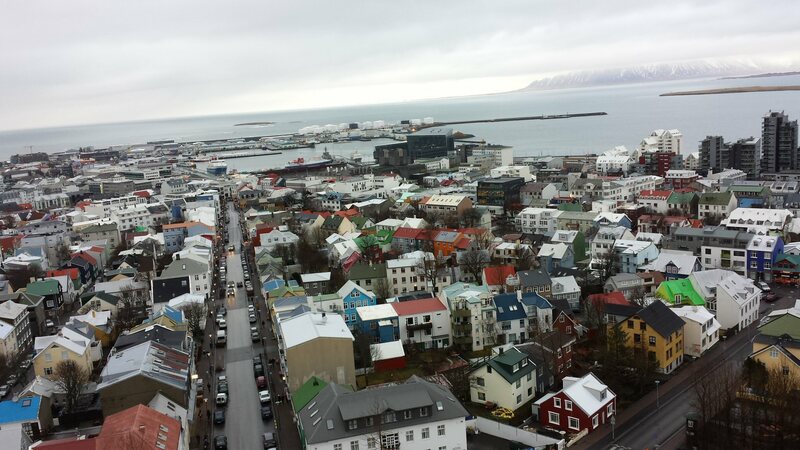 That's one of the pictures I took from the top of the Hallgrímskirkja this past Saturday. That's Harpa, top center. CCP is the building immediately to the right of the one with the crane on top of it at the top far left. tl;dr, weep for our lost space-police car. ... and that utter BS about alliance logos not worth displaying on ships. Eve isn't dark because Iceland is dark, it was intentionally made to be dark. If people need splashes of color, they wouldn't play eve 23.5/7... oh wait, they don't. Eve isn't their life, it's their hobby. I'm sure they get plenty of color in their other activities. And what's so unique about all the architecture looking the same? In 30 some cities across 4 countries I've never seen a city that has universally unique architecture. Every 30 buildings that look the same there's a building that looks different, how perceptive. I believe Jester was making the point that anywhere people live, there's going to be color. EVE really does tend toward the monochromatic, and the art team could probably benefit from a look out their windows. It's not all the same, one or two are stunning examples of building stuff the right way! why do they all have white roofs? I figure he's talking about our poor amar stations. Where has the gold gone?